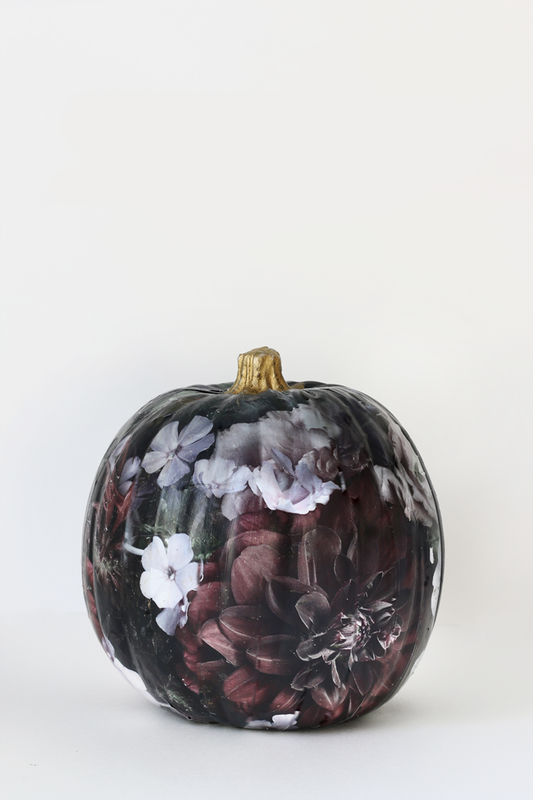 I loved my floral Easter Eggs from two years ago & decided to try the same technique this year on my pumpkin. 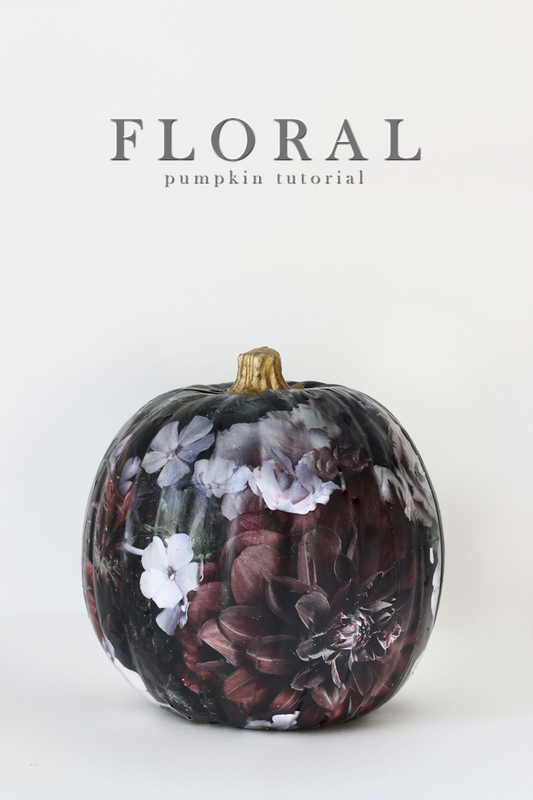 Not feeling bright & cheery for Halloween, I rather took inspiration from my favorite moody floral wall coverings that are out right now. To create my floral pattern, I actually went to my photo archives & pulled a photo I took of a flower arrangement at an event earlier this year. It was bright & beautiful, but after removing the saturation from the photograph in my photo editing software, it instantly took on a similar effect. I then sent my images to my local copy shop to have them printed on 11×17 paper on a laser printer. Your home inkjet printer ink will run once you begin to add the mod podge, so this is why I sent my prints out & recommend you do too! After returning with my four identical floral prints, I then cut them into 1″ strips (keeping the image together like a puzzle after cutting to keep them in order.) 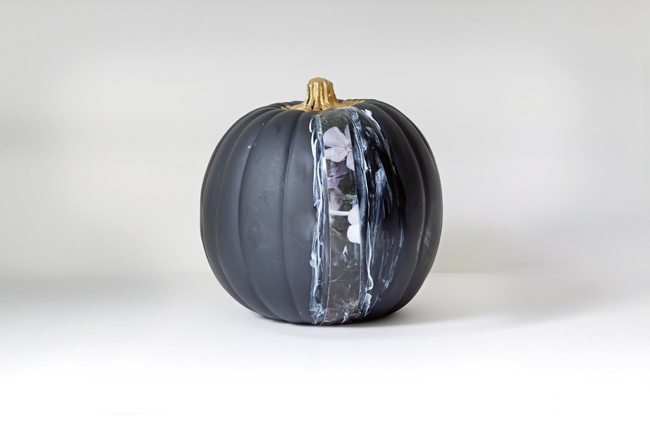 I then applied the Mod Podge & started adhering my strips, one by one until the entire pumpkin was covered. 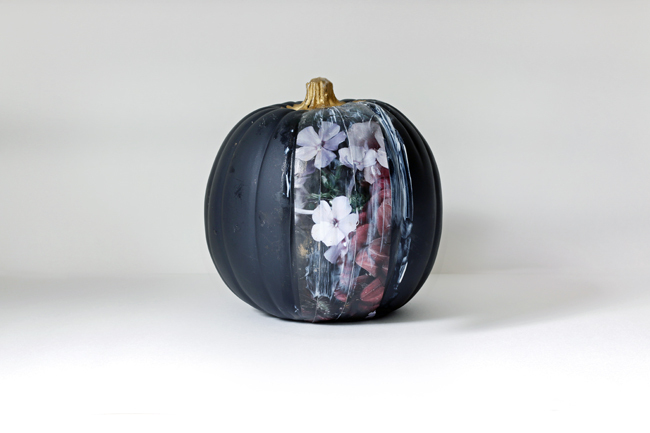 My best tip for using Mod Podge, or any decoupage medium, on a curved surface is to apply the medium to the surface (the fake pumpkin in this case), apply the strip of paper & then apply more medium on top of the paper as well. This allows the paper to become more pliable & will conform to the shape much easier than just simply applying the strip. You will get a few wrinkles along the way, and your image won’t match up perfectly, but after the project is dry you really cannot tell. 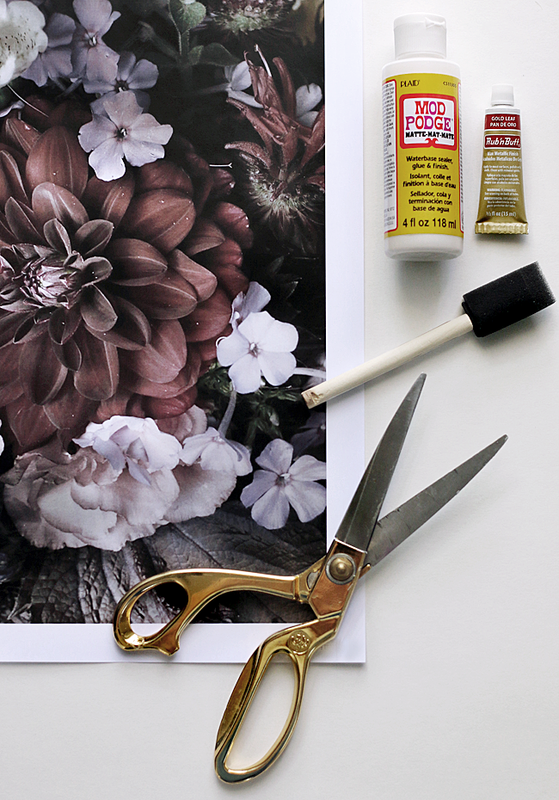 You don’t have to use flowers either, you could just as easily photocopy your favorite fabric print! 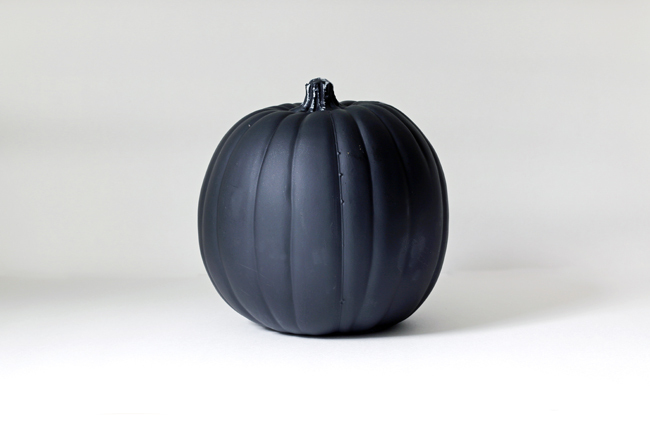 I have found that the busier the pattern the better though… I see I smaller leopard companion pumpkin happening soon. Just sayin’. Just gorgeous! 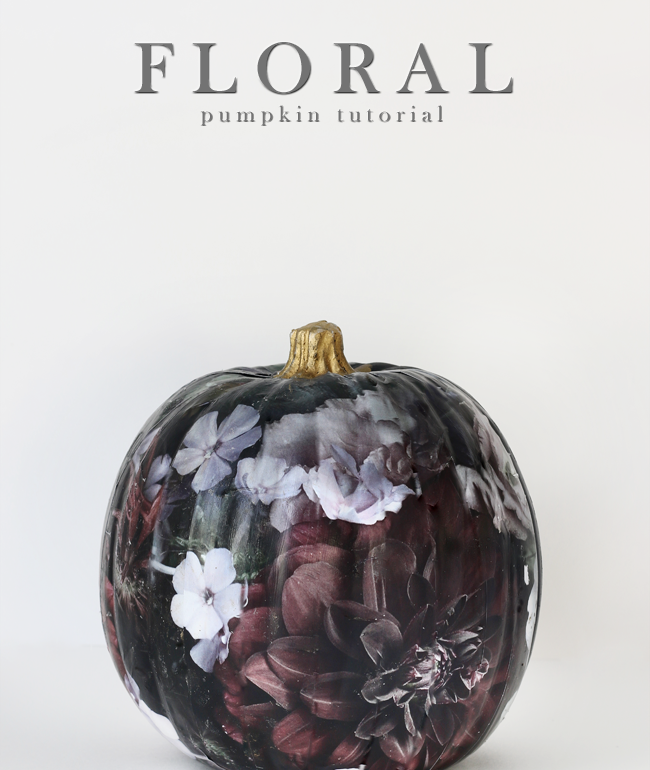 Love this take on an autumnal favourite DIY! 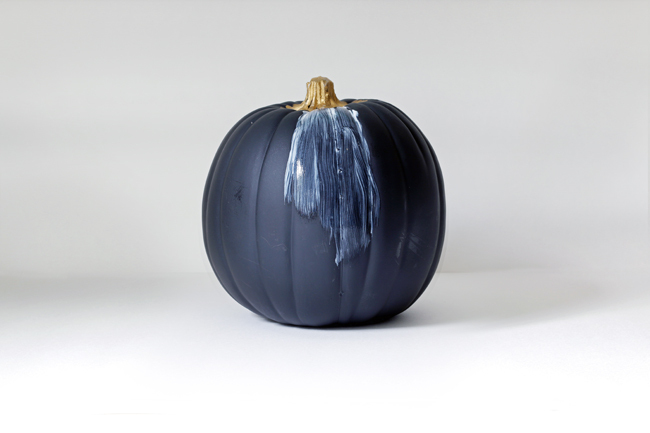 As a fan of Halloween decor that’s very “non-Halloween”, this is a wonderful idea! But, what’s the Rub N Stuff for in the first pics? Rub N Buff is a metallic paste you can rub onto an object to create a gold finish. Easier and more realistic than a paint for example.